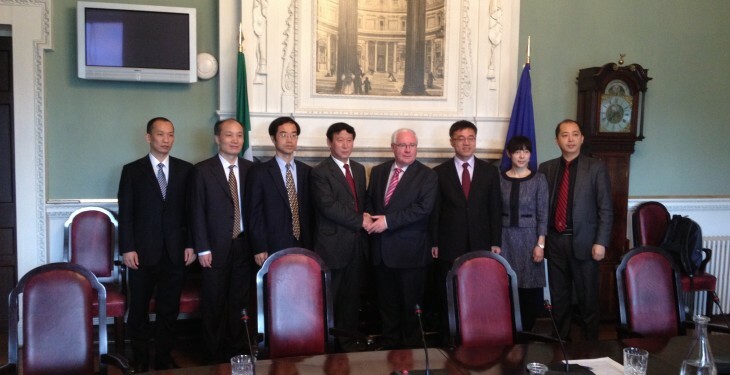 Fianna Fáil Spokesperson on Foreign Affairs Brendan Smith met with representatives from the Chinese Government at Leinster House recently and pressed for the lifting of China’s ban on Irish Beef. At the meeting in Leinster House today, Deputy Smith and Vice Minister Yu Hongjun of the International Department of the Central Committee of the Communist Party of China (IDCPC) exchanged views on economic development, human rights, agriculture and trade between Ireland and China. The Fianna Fáil Spokesperson raised the issue of the ban on Irish beef in China and asked the Chinese government to reconsider this ban. Imports of beef from Ireland have been banned since 2000 as a consequence of the BSE crisis in Europe at that time. 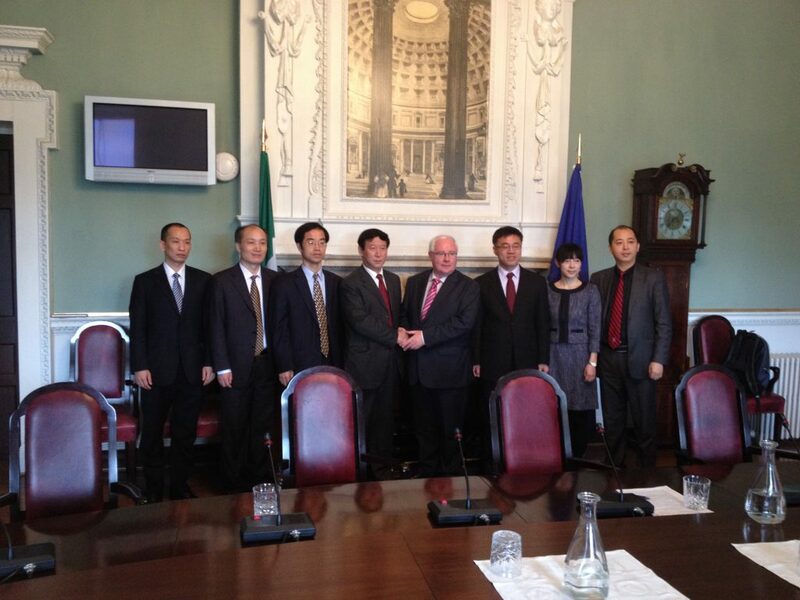 Speaking afterwards Deputy Smith said, “I was delighted to meet Minister Yu Hongjun’s delegation today. We had a very productive meeting where we discussed the renewed economic opportunities that exist between Ireland and China. We also discussed how China’s reform programme focussing on justice, fairness and equality for all its citizens is most welcome. I urged the delegation to continue these reforms. “Minister Yu Hongjun outlined the mutual benefits to China and Ireland of major trade and business links developed under the Asian Strategy, which was enacted by Fianna Fáil in Government.